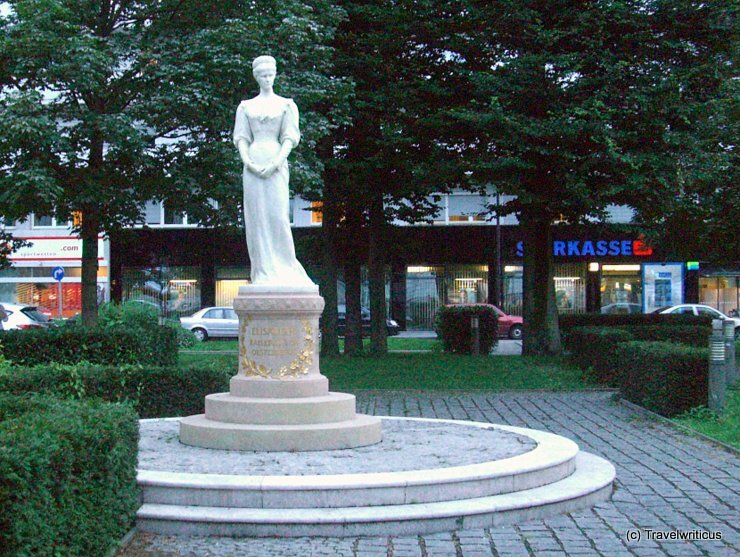 Monument of Empress Elisabeth of Austria (‘Sisi’) seen near the railway station of Salzburg. The railway line between Vienna and Salzburg was named after her. At the other end of the railway line in Vienna there is a statue of Sisi as well. This entry was posted in Monuments, Sisi and tagged Austria, Salzburg, Salzburg-City by Travelwriticus. Bookmark the permalink.